Why is it when I don't have time to stamp, I have the most inspiration? I should be packing to move next month, but I also want to give a few gifts with friends in the area before the move. People usually expect handmade gifts from me, so I can't disappoint them, right? I still have a few weeks before the move. I already have 2 complete rooms packed, so progress is happening. This project was created with the "Build a Banner Simply Created Kit." First, I stamped the World Map background stamp (p.38 in catalog) with Basic Black craft ink on each canvas banner piece. Next, I went to my paper scrap bags and cut several shapes in coordinating colors with the Big Shot. 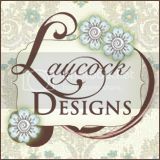 I used the following die cuts on this project: FRAMELITS: Hearts Collection, Labels Collection, Deco Labels and Apothecary Accents. BIGZ: Oval Accent Bigz Clear, Beautiful Butterflies (retired), Serif Essentials alphabet (retired). EMBOSSING FOLDERS: Beautifully Baroque, Perfect Polka Dots, Houndstooth, and Square Lattice (retired). Embellishments are what really make this project pop! My favorites are the Vintage Faceted Designer Buttons, Very Vintage Designer Buttons, Pearl Basic Jewels, Rhinestone Basic Jewels, and the Victoria crochet trim (retired). There are endless possibilities on how you can create and where you can display fun banners like this in your home or office. I can't wait to share this banner next month with my friend! HAPPY FATHER'S DAY to all the proud papas out there! FREE Designer Series Paper is available during Sale-A-Bration. I was inspired by the many samples shared by other designers during Leadership Conference. Although I do not have the demonstrator names, I still wanted to share these inspiring projects with you. Once I know the designer names, I will update this blog entry and share them with you. These projects were displayed by Stampin' Up! and around the conference area as contest entries. Notice the use of Trinket Crowns and the Stampin' Up! Simply Scored tool. The pearls, ribbon, and punch art was so clever! The paper flowers, embossed frame, ribbon frame, banner, mini bird accents, tag, and layers are fabulous! What a masterpiece! As the rain continues to fall in Tennessee, I find comfort in creating projects with supplies shared in the Occasions Mini catalog. There are lots of great products to use with the Big Shot--must haves for spring! This cute birthday bird was on display at Leadership Conference. I love the details: pearl necklace, ruffled party hat, pearl swirls, button banner, and paper clip feet. My demonstrator team challenged us to create WOW Swap projects to share at Leadership. I used Mocha Morning designer series paper, Vintage Wallpaper embossing folder, Labels Framelits, Heart Framelits, Red Glimmer paper, Dazzling Details, rhinestone, Oval punch, and Notably Ornate stamp set. PRODUCT TIP: When using patterned paper with this die cut, please note the wing is positioned upside down on the die. Paper must be cut in two pieces for the letters or design to cut right side up. As December arrives, our family has started a new tradition called Elf on the Shelf. We read the book and watched the DVD, An Elf's Story, this week. Hayden named our family elf, Wishy. We look forward to searching for Wishy each morning, after his return from the North Pole visit with Santa. This vintage themed tree card was inspired by a fellow demonstrator, Lisa Young. How wonderful to be a part of a group who happily share, challenge, and inspire each other! Vintage Christmas projects have become a tradition for my designs and home decorations. I am feeling especially nostalgic this year and look forward to making many memories this holiday season. This card was the final project in my recent Holiday Card Crank Class. I love the monochromatic, collage design. Like the cards you have seen featured on my blog? I can customize a workshop or private class for you and a few friends! Remember, the "It's Good to Be Hostess" promotion will be honored until December 15th! Enjoy $35 extra FREE shopping dollars as a hostess with a $350 workshop order (catalog and online orders apply). If you want to stamp with me, check out my December Event Calendar! RSVP online as soon as possible to reserve your seat! I can't wait to stamp with you! I hope you and your family enjoyed a wonderful time together for Thanksgiving. We decorated our house for Christmas and visited lots of family members. We made time to thank God for our many blessings, family, and friends. Snow is rarely forecasted in Tennessee, so I decided to share this first in honor of my son's winter snow dance. Despite my attempts to warn him, the ground is too wet and the result will probably be a slushy mess; he still hopes for a snow day from school. My stamping friends created a set of this card design during our recent Christmas Card Crank event. Our project features the Winter Post stamp set, which is ON SALE right now at 50% OFF the original retail price!!! Still seeming similar? You are right! I used the same supplies, as the first two projects shared, but with different colors to create a more masculine stocking. Colors Night of Navy and Garden Green are paired with the Crumb Cake greeting for this keepsake. The greeting was taken from the Christmas Lodge stamp set. Although the button is absent, I like the fun effect of a larger greeting. The ribbon was changed to Always Artichoke seam binding to coordinate with the base of the stocking. You KNOW you want to make one of these stockings now. You get together with friends in December anyway; so you should share a Stampin' Up! themed event...complete with handmade party favors created by your guests....with me as your guide! Do the supplies seem familiar? This project was created with the same supplies (BigzL Holiday Stocking die, Finial Press embossing folder, Beautiful Season stamp set, linen thread, Holly Berry Bouquet designer button, Crumb cake seam binding ribbon); but I changed the color scheme and added a new greeting for this project. Always Artichoke served this project well with cardstock and ink as the base. I added a greeting from the Christmas Lodge stamp set in the Holiday Mini Catalog (page 29). I plan to hang my stocking on the classroom tree; but it would also look cute as a gift bag tag. Contact me if you want to create one of these cuties! I would love to share the fun with your co-workers, neighbors, friends, Bible Study group, everyone! Did you have fun today? We did! PLAY! EXPLORE! ROAR! What a great reminder a child can be! Everyday is a new adventure for Hayden during our move. He has found new friends, discovered unfamiliar territory, and attempted challenging goals. I can barely keep up with his excitement, so I have decided to try Hayden's approach to life. Make time for fun and look for the unexpected. Then, enjoy the surprise life offers each day! You know how much I enjoy my "creative play time." It has become therapeutic during an exhausting transition. When I saw new products in the Holiday Mini Catalog, I first appreciated fresh, useful, coordinating items. When I received the project swaps, the products transformed before my eyes! A simple stocking stamp set and coordinating builder punch can create much more than what we first see on the pages of a catalog. With a closer, creative look at these tools, they quickly become more fun and exciting! I have seen demonstrators create baby booties, sports team logos, get well foot casts, and more! This swap card was inspired by Jackie Topa and created by Peggy Jones. With a new approach to the product, she created a super cute hobby horse! I love how she frayed seam binding ribbon to create the mane! Christmas stockings symbolize family traditions, a talented seamstress, cherished family members, thoughtful gifts, and anticipation. Although I enjoy "thinking outside the box," I also love simplifying my life and adding fun with color. You've heard the saying, "It is what it is" more times that you can count. Stockings can also just be stockings, and these are cute and colorful! This swap card was created by Karen Albin. What great work she shared! Handmade tags and ornaments were a holiday tradition of my childhood. As I approach a fun week with family (Hayden will be home from school all week!) I decided to start decorating the house for Christmas. Hayden requested a tree in his room with his favorite "Honey" ornaments (gifts from his grandmother); and he asked to make a few for his family and friends. To start the season, I created this chipboard ornament with the Serene Snowflakes and Four the Holidays stamp sets, gold Waffle Paper, Whisper White and Crumb Cake cardstock, White gel pen, Chocolate Chip ink, Crumb Cake cardstock, Smooch Spritz, Dazzling Diamonds, and Basic rhinestones. I noticed a holiday color trend this year to include shades of brown and gold, so I cut chipboard using the Ovals Originals die, Northern Frost Sizzlit Strip, Chipboard, and Big Shot. The stamping, layering, and adhering began to create this festive ornament. What are your holiday traditions? I commit to making time with my family and creating a handmade holiday with memories galore! Won't you join me? I met Monica almost a year ago, at our annual Stampin’ for a Cure event. What a blessing she has been in my life! Her smile, talent, friendship, compassion, and support are a great inspiration to all who meet her. It was my pleasure to create her birthday card and remember our fun times together this past year. HAPPY BIRTHDAY!